In Movedo, you can easily use the Contact 7 Form with the MailChimp extension in order to use your MailChimp account in your site. By this way, you will use the tried and tested Contact 7 Form plugin in cooperation with the MailChimp one. You can check below the related screenshot attached to help you out. 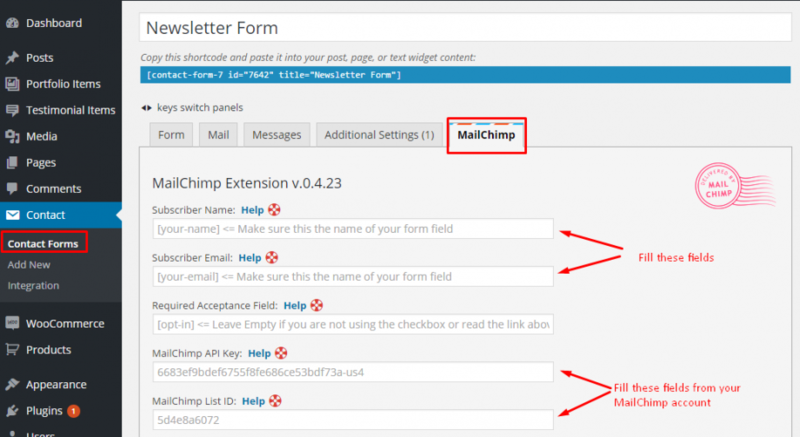 You can read more about the mailchimp integration on this article.